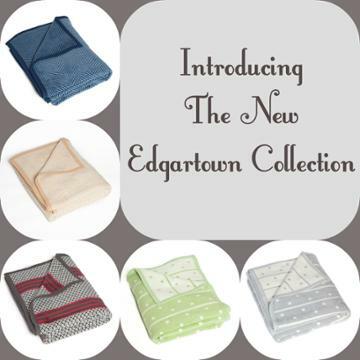 The First Five Designs of the NEW EDGARTOWN COLLECTION are IN STOCK NOW! The Edgartown Collection consists of elegant, sophisticated ChappyWrap blankets designed to enhance home decor. During the design process, designers from around the country lent their concepts to the creation of the new styles. The result is a collection which boasts a neutral color palette and timeless patterns that are classically great designs. Named for the seaside town of Edgartown, MA on Martha's Vineyard, the blanket designs from the "Edgartown Collection" add a warm finishing touch to any room. More Designs will be added to the Edgartown Collection!